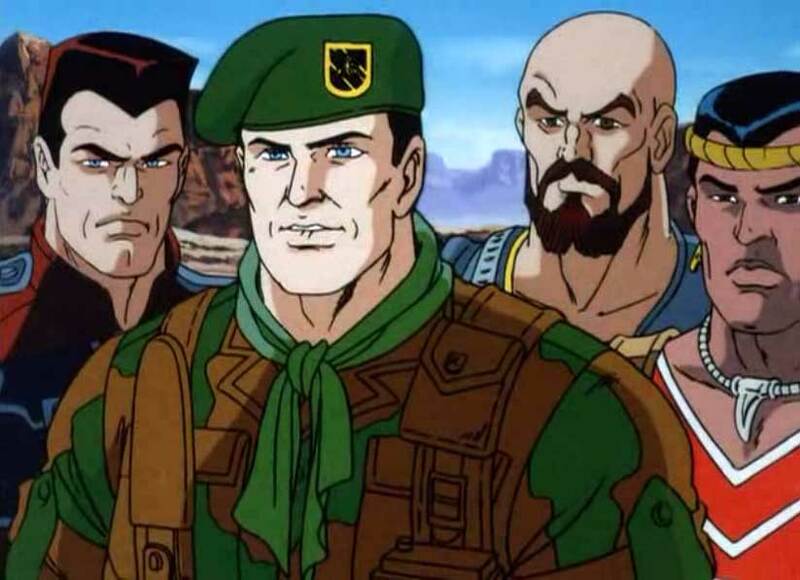 Anyone remember the old GI Joe PSA that would run at the end of the cartoon? One of the intrepid soldiers would explain to a youngster why they shouldn’t play in the street or handle spent nuclear rods or whatever…and then finish off with the pithy phrase “Now you know, and KNOWING is half the battle!” And of course – Lady Jaye or Duke was right. Half the battle – the other half is putting that knowledge into action. One without the other is useless or dangerous. Action without knowledge can lead to all sorts of misguided energy being spent – knowledge without action becomes an exercise in self-centric futility. As Romans 12 began, Paul told us that God was in the process of renewing our minds – changing our thinking. There are things we learn and then know. But that’s only half of the thing. There must also be a practical outlet for our changed thinking. We’ll be continuing our study in Romans this Sunday, reading 12:9-21 where Paul describes what the Gospel looks like in action. As you read this section over, what do you see as the overarching theme? How do you reconcile the use of the command to “hate” in an instruction on love? In what ways do you think Paul means to hate evil, given the context? 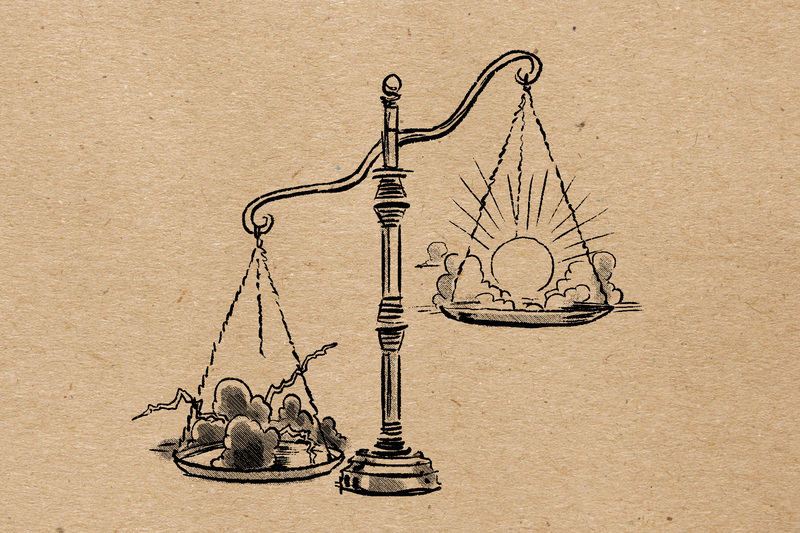 Can you identify three different spheres of social involvement identified in these verses? What are the negatives, that is, what are the ways Paul tells us not to behave? In contrast, how are we to behave towards others, including those who want to be our enemies? This is Paul’s description of how we live once our thinking has been changed by the Gospel. How easy or difficult is it for you to put the gospel into action in your own life? How can we as a church community be more proactive in putting the gospel into action in the world where we’ve been placed? This will be both challenging and encouraging – hope to see you Sunday! We are entering into the final stage of our study in the book of Romans. The last section, chapters 12-16, will focus on how the gospel effects people who are working together to form a community. These chapters are filled with practical examples of how the good news is expected to shape our interaction as the church. This Sunday we’ll be reading ch 12:1-8. What do you believe Paul means by his exhortation to give our bodies to God? Why do you believe he saw this as important? In what way does this connect with his metaphor of a “living sacrifice”? Paul moves from the metaphorical to the practical in v2, explaining exactly what he believes his previous exhortation will look like. How do you interpret “don’t copy the behaviors and customs of this world” in light of what he wants to see transformed in us? What are some ways in which God can transform our thinking? How can this embody the gospel in our world? If we keep in mind the rift between the Jewish and gentile believers which Paul has been seeking to address, it helps us to understand his apostolic command in v3. Why is a humble and honest evaluation of ourselves important in the context of not copying the patterns of this world? The “body” theme continues as Paul expands beyond individuals to a community challenge. The gospel is embodied through cooperative ministry. What gift do you think the Holy Spirit has allocated to you, and do you find opportunities to exercise it? If you aren’t sure, what gift would you like to be able to have? Sometimes God is working through our interests. 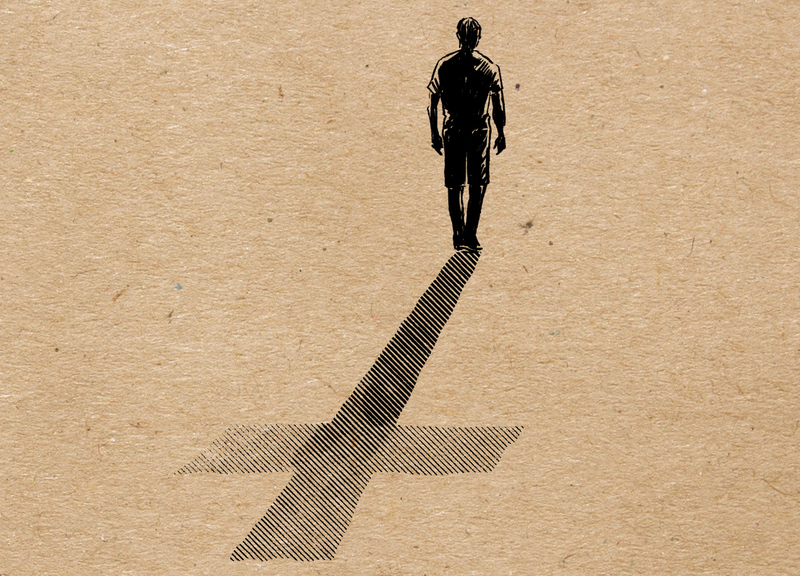 Take some time to pray about how God wants to use you to embody the gospel. This will be a challenging as well as encouraging section to read this Sunday. Hope to see you there! One of Eastgate’s logo designs is emblazoned with the words, “A work in progress”, because that’s what we are. We haven’t arrived at what we’re aiming for, and God is still in the process of shaping and molding us into a community with purpose. That’s true of all of us who are following Christ – we’re all a work in progress. 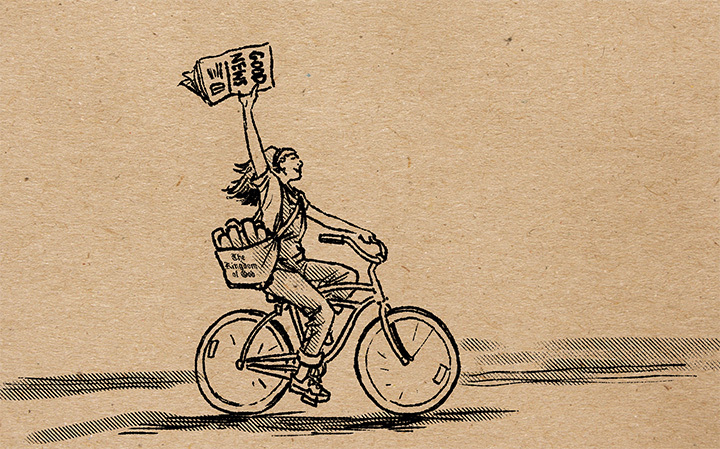 Sometimes, however, we may feel like there’s been a labor strike because nothing much seems to be happening. Progress seems to halt, we stumble back into old habits, we face setbacks. Sometimes that happens with those we love and pray for as well. It’s in those times we can be tempted to wonder if God has given up on us or those we care about. That is what’s happening in the text we’ll be reading this Sunday as we continue our study of Romans. We’ll be reading all of chapter 11. Yes, I agree, that’s a lot of verses to cover. It’s largely a review and summary though, so we’ll be able to handle it in big chunks. Paul is wrapping up his thoughts concerning Israel’s rejection of the Messiah – and in doing so, he poses questions about God rejecting Israel. What does he conclude about that question – did God reject Israel? In v1, what does he base his answer on – what proof does he highlight concerning Israel? Paul took comfort in something small compared to the majority. How can that comfort us when we are wondering if God has given up on our situation? Something else that Paul does is remind himself of the story of Elijah when he was on the run from Ahab. What does v4 remind us of concerning God’s providence? Paul then recaps his thinking through the rest of the chapter – but when using the metaphor of branches cut off of a tree and new branches grafted in, he makes a hopeful statement in v24 about the potential impermanence of Israel’s rejection of Christ. How can his hopeful statement encourage us when we feel like we have stumbled and stagnated in our own journey with God? We will deal with all the various interpretations of vs 25-26 on Sunday. The whole section of ch 9-11 has some very discouraging things to say…but all of it ends on such a hopeful note. It’s just a reminder of the truth Paul stated in chapter 8:28 – God is always at work, through all things, to bring about what’s best for us. Hopefully this will encourage you as well. See you Sunday! This Sunday we’ll be reading a very famous passage from Romans as we continue our study of that book. We’ll be reading ch 10:14-21. Paul, still sorting through the dilemma of Israel’s rejection of her Messiah, puts forth a stair-step argument for how people actually receive Jesus as Messiah. His argument is in the form of questions again, and he starts with the desired goal of salvation (based on v13) and works backwards through the process. Before they can embrace God’s salvation, they have to believe. But in order to believe, they have to hear the offer. In order to hear, someone has to tell them the news, and so on. There is no way around the usage here – the gospel has a message to be shared. The Good News is news. You might find the origins of the word we translate as “gospel” of interest – there is a famous inscription that reveals it’s usage outside of the church. If you read the translation, take note of how Augustus is described, and compare it to the first Christian description of Jesus. Paul makes an assumption about who was sent to share that news. What does this tell us about our purpose as the church? He quotes Isaiah 52 which forecasts the day when Israel’s exile is over – and how beautiful even the feet of those will be who bring that good news. This clearly indicates to us, as the church, that we have some very good news to share with the people we are placed among. What is the good news, in your understanding? What does v17 indicate that the Good News is about? How can we see to it that we keep the main thing the main thing? Hopefully this study will get us thinking and pointed in the right direction for how we, as a community of the Gospel, can bring light to the world in which we’ve been placed. I’m really excited about Sunday’s study. Do you remember the buzz a while back about how people could look at the same dress and some people saw a blue dress with black stripes, while others saw a gold dress with white stripes? 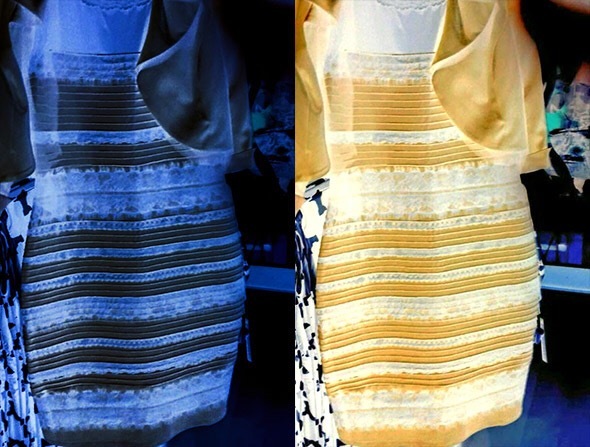 I’m still amazed that anyone saw anything but a blue dress – but that’s the thing, isn’t it? It was all the same dress. How our brains processed the light and color made all the difference. That’s similar to what Paul will be talking about in our text this Sunday, as we read Romans 10:1-13. Paul will be talking about how Israel looked at the promise of God and saw something that had to be worked out by honoring the Old Testament law. Yet, as Paul will explain, that was seeing the promise in the wrong light. God always intended for salvation to come as His gift to human-kind, not as something we earned. In this section, Paul provides us with the profound declaration of how salvation is bestowed on us. The message of faith that Paul preached is found in v9. How do you understand this combination of speech and belief in the inner person? How would you explain to someone unfamiliar with Christianity what it is that Paul is driving at here? What distinction, if any, do you see between faith in the heart and understanding in the intellect? How do you think someone who struggles with the tension between the two can resolve on faith without committing intellectual suicide? Sunday is a special day – we will only have one service at 10 am – then we’ll go to St Andrews State Park to have a cook out and baptize those who wish to be. This is the very declaration of faith Paul is getting at in our text. If you haven’t been baptized and want to know more about it, you can go to this page on our website, and sign up there if you’d like to make that declaration this Sunday! Do you have kids? Do you remember being a kid? When my kids were little, they had an innate sense of fairness that they would share with me at the moment they sensed some form of inequity. 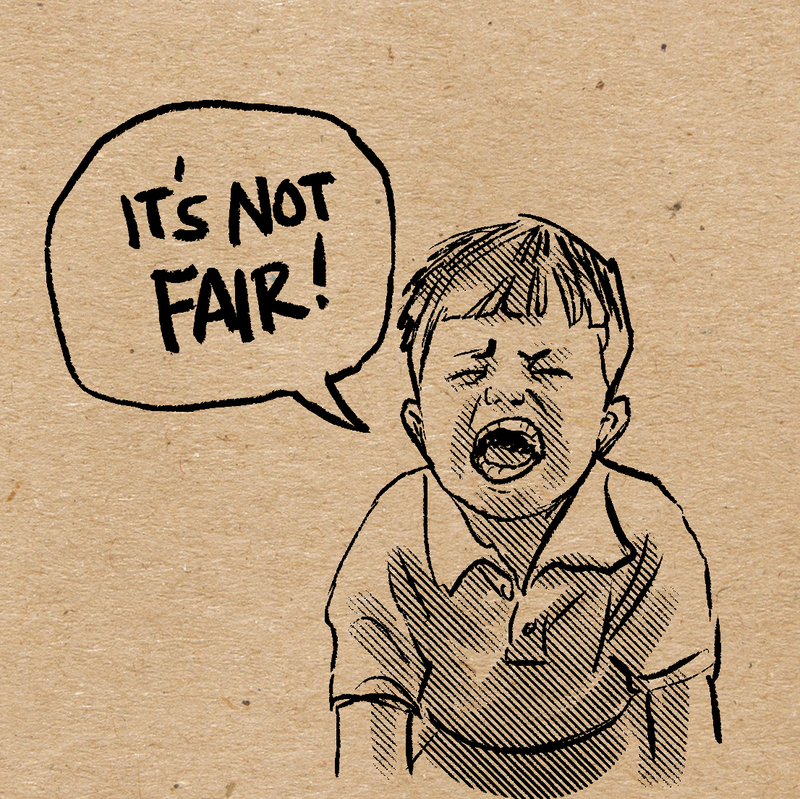 Usually expressed in the revolutionary cry of “it’s not FAIR”! This would then lead to a long and tedious (to the parent anyway) negotiation about balanced and impartial chore assignments, all of which would lead to me snapping back with “LIFE’S not fair!” That’s the response my parents taught me…and to my delight, I heard my youngest daughter speak those same words to her daughter not long ago. My work here is done. The thing is, as we get older we become far more cynical about fairness. We encounter way too many situations where the game is rigged and we are helpless – but even then, in our most sardonic state, we still hold out hope that God is fair. Someone may put us at a disadvantage but we hold on to a hope that God knows and will one day vindicate us. But what if God isn’t fair? Or more frightening, what if his idea of fairness is completely different from ours? What an existential kick in the head that would be! That’s a concept we’ll delve into this Sunday as we continue our study in Romans, reading ch 9:14-23. Paul begins right off posing that question. How do you understand his answer? It is very important to read Exodus 32-34 to really get the atmosphere Paul is trying to set this dilemma in. Did you read it? If so…what is the context of God’s statement that He will have mercy and compassion on whom he chooses? At the moment of Israel’s greatest disobedience, God expresses His own personal freedom to have mercy on anyone he chooses to, including the guilty. How does this help Paul work through his initial question? Paul then uses Pharaoh as an example of God’s sovereign freedom to work through even those who resist his will to accomplish his will. Do you think this was meant to destroy Pharaoh? Is there anything in the text that indicates there was something permanent about Pharaoh’s hardened state of heart? To what end was all this happening? What is the goal of the whole Biblical narrative? This is a very complex bit of writing by Paul – it will take some careful navigation, which we’ll attempt this Sunday! Hope to see you then! Stories are an integral part of the human experience. They help us define and navigate this often confusing world we exist in. A good story is one where characters evolve as they maneuver through difficulties, struggles and pain. The action rises around the complications until it reaches the climax, then falls to the resolution. The most beloved stories of our present culture follow this arc – and they bring us a lot of joy. God is a great story teller and our lives are intricately woven into a grand narrative he’s been unfolding through the ages. At least, that’s the way the Biblical narrative seems to set it out. God’s great story also has a resolution, a good ending which puts all of the struggles of the larger narrative in a different perspective. That’s what Paul will be presenting to us in our passage in Romans this Sunday as we read Romans 8:18-39. Most scholars put the whole of chapter 8 into a special category of inspirational text, but especially so with the last half of the chapter. Paul hits a high water mark with these words that really don’t get repeated anywhere else in the New Testament. He begins by expounding on his previous statement about suffering (v17) – reminding us that present struggles won’t even register when weighed against the glory that will be revealed to us. What do you think he means by that statement, what do you understand that glory to be? There are three participants in the “groaning” Paul describes. Who are they? Why are they groaning, what is anticipated? The third “groaner” (not a word, but I’m sticking with it) is remarkable to me (v26). What does His groaning tell us about God’s priorities and intent? V28 is quite famous. What confidence are Christians meant to have about the events in our lives according to this verse? Do you read this as God being an architect of trouble, or an artist who can use anything to make something beautiful? The last section of chapter 8 is so encouraging and beautiful, it hardly needs any commentary. Read it, then read it again. Read it in multiple translations. Linger on the words, play some cinematic orchestral music and read it out loud. What are those words saying to you? How do they effect your understanding of yourself in this difficult and struggle-filled life? This Sunday, we’ll hear the Lion roar out His love to inspire unshakable HOPE. Can’t wait to see you there!